“STRIVE has all the elements of a great experience. For student athletes its an opportunity to train at altitude with elite athletes (in both Kenya and Peru). It’s a chance to live in a non-English speaking country, where the food and culture is different from what one generally experiences in the United States. I love that the programs are small, that the service component of the trip is real (as opposed to paying lip service to the concept in order to rack up hours for school requirements). I love that Nic and Rob and Tyler are dedicated to countries and people among whom the students live and learn and train. 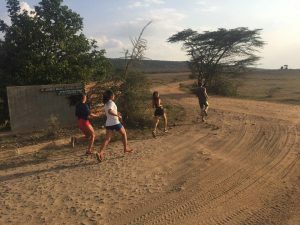 Learn from your leaders and trip-mates – about service and how we can serve others well, about how to improve as an athlete (whatever your level), how to eat ugali like a Kenyan, and even how to use “Jambo” correctly in a Kenyan Swahili greeting. Stay in the High Altitude Training Center, run by Lornah Kiplagat, and visited by world class athletes from around the world. If you’re lucky bump shoulders with the world’s best, like David Rudisha, Vivian Cheriyot and maybe even get that selfie you’ve always wanted. Listen to a legendary coach of the sport, Brother Colm O’Connell, on the campus of the world-famous St Patrick’s Secondary School where trees are planted for each World Champion or Olympian alum. Run side by side along the red clay roads with local school children carrying books and professional marathoners alike. Utilize the expansive indoor gym at the HATC, or join in a Kenyan Fartlek, where you’ll be one of hundreds (literally) getting better one step at a time. Visit a nearby Giraffe Sanctuary, a community-based conservation and natural resource management initiative for an up close look at those long necks and purple tongues. Located at 8,000 ft above sea level, with majestic views into the valley, Iten is the perfect place to follow in the steps of hundreds of elite runners on the famous red-clay roads of Kenya. The crisp morning air makes it great for a morning shake out run, while the afternoon sun is just warm enough but not too hot for a great workout. In between, visit a number of service projects with which STRIVE has fostered connections over the years. On the weekends, choose your own adventure as the group will head off to explore Iten and the surrounding countryside. As with all STRIVE programs, the first step in service must be learning how we can serve the community we’re in. What are the needs of the community? What are we qualified to do? What are the potential pitfalls of our work? How can we make sure we’ll be having a positive and lasting impact? arsh rainy seasons of Kenya. You may also help to teach Mathematics, English, and P.E. alongside Kenyan teachers. 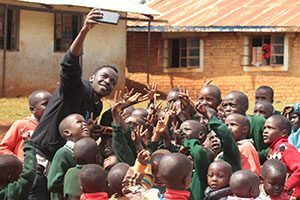 Cultural exchange will be an ongoing part of your experience as you help KenSAP students, Kenyan high school graduates that will be attending colleges and universities in the States, prepare for their entrance exams and essays. Don’t worry, it won’t all be hard work! You’ll also enjoy sharing stories and playing board games with KenSAP students in the evenings or hanging out with St. Patrick’s Secondary School students while assisting them with college applications and preparation for their national exams. STRIVE is always on the lookout for new and beneficial projects and we are hoping to introduce an “Iten Sports Day” next summer, providing an interscholastic competition between Kamirany, Kiptabus and other schools. Lastly, STRIVE hopes to help set up, fund and organize a Half Marathon in the community and we’ll need lots of help with details and organization to put on a well-run event. The HATC and surrounding Kenyan countryside have all the basic needs of a budding athlete. Runners can head out on the red clay roads and join barefoot school children or elite marathoners on the hills of the Rift Valley. Use the newly built Mondo surface track for a speed workout or hit the weights in the first class fitness center facilities located within the HATC. For other sport athletes, there is a swimming pool, soccer fields, indoor facilities, and a basketball hoop for anything you could imagine. And, if you are a baseball player, cheerleader, dancer, or any other type of athlete, feel free to share your expertise with the local students who may never have heard of your sport but generally get a kick out of learning the new skills and lessons you bring to the table. Your everyday life in Iten will be an adventure in itself! Walking to and from school each day or simply exploring the small town -center can be an eye-opening experience. Weekends will allow time for your group to explore even more of the Rift Valley – trips to take a boat ride in Lake Baringo to see fish eagles doing their thing, a visit to the tiny town of Kitale – home of professional runner and friend of STRIVE Wesley Korir, or even a chance to witness the death-defying cliff jumpers of the Kerio Valley doing some amazing stunts. 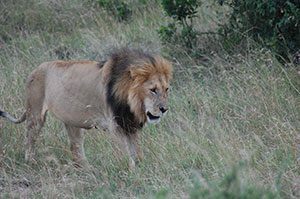 Your adventure culminates at the end of your program with a visit to the Masai Mara Game Reserve. You’ll travel by jeep during the day, sleeping in rustic bungalows (that still have warm showers and lights! ), and – if the time is right – witness the great migration of wildebeest and zebra across the plains. Keep your eyes peeled for the remaining “Big Five” – lions, elephants, rhinos and more! Your trip ends with a visit to a local Masai Village, where you can experience first-hand the intricacies of their unique, nomadic lifestyle. At the High Altitude Training Centre, where you’ll stay for most of your trip, you’ll be in a room with 1-2 other STRIVE participants, complete with ensuite bathrooms and solar heated showers. Hang out in the well maintained pool area or manicured lawn – a great place to relax after a hard day of work and training. From your rooms, head over to the dining room next door where the in-house chefs cook up a mix of tasty western and local fare specifically designed for athletes in training. This schedule is flexible and will change from trip to trip, based on the wants and needs of each particular group. We are always tweaking and altering our trips to best suit the individuals of each trip and to account for the inevitable unpredictability that comes from travel in a foreign country. This is an example schedule of what programs in the past have looked like. Your trip will likely look similar, but remember, this is YOUR trip and we design the trip around YOU. Day 1 – Arrive at Nairobi International Airport where you’ll be greeted by your STRIVE group leaders and meet the rest of your trip-mates! Our private transport will then take you to a nearby hotel where you’ll spend your first night in Kenya. Day 2 – Catch an early-morning flight from Nairobi to Eldoret in the Rift Valley. Once there, our private transport will take your group to the High Altitude Training Centre (HATC) in Iten. Take the afternoon to get familiar with your beautiful new surroundings and begin to acclimatize with a slow afternoon run or workout in the gym. 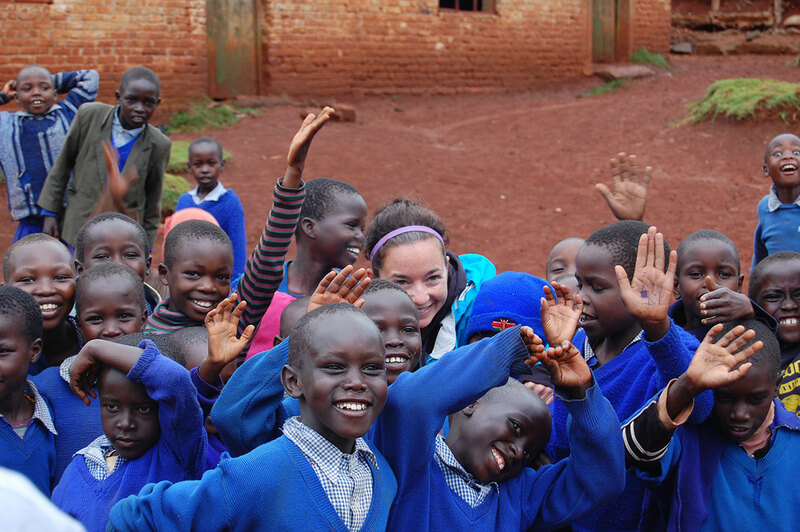 Day 3 – Walk into Iten’s town center and visit the local track or primary schools. 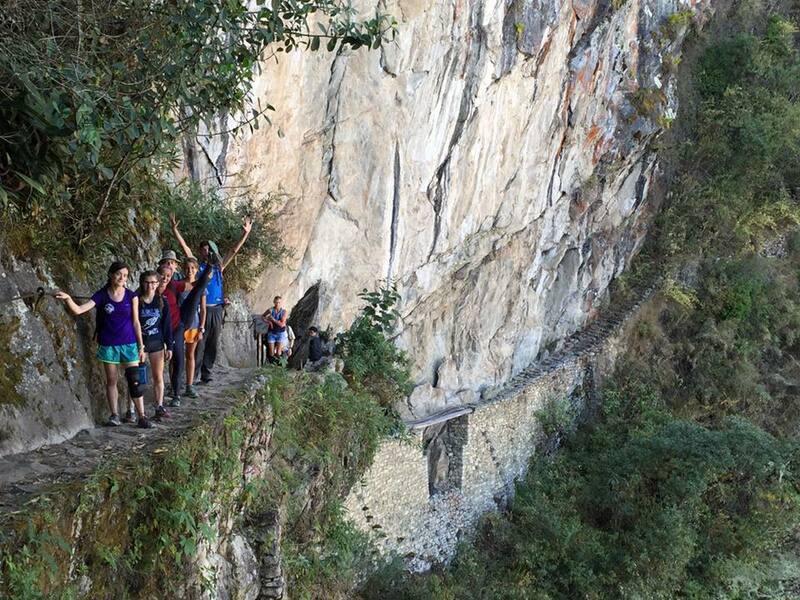 Continue with acclimatization, taking the running slowly and learning the local routes. See some of the professional runners working out at the legendary “if you build it they will come” Kamirany Stadium. Meet Lornah Kiplagat – World Record Holder, World Champion, Olympian, and owner of HATC. Days 4 to 8 – Wake up early and get your run or workout in before heading to school. Spend mid-day working on your service project before heading home for a quick rest. If ready, use the afternoon to work out, swim, and/or run again. If not, use the time to rest or explore Iten with your group leaders and trip-mates. Day 9 – Get in an early long run on the beautiful roads surrounding Iten. In the afternoon, work with KenSAP students on preparing for life in the US or taking the SAT. Later, take a tour of St. Patricks and meet legendary coach Brother Colm, who has coached numerous record holders, World Champions, and Gold Medalists who have passed through St. Patricks – including 800m champ David Rudisha. If we’re lucky there might be a Rudisha sighting! Day 10 – Take today as an optional training rest day. Head out of town with your group for a day trip to hike around the Kerio Valley and see the Kerio Valley Jumpers. Return in the afternoon for an optional easy workout and time spent on your service project. Days 11-12 – Change of scenery! Visit the home-town and brand new training camp of Wesley Korir – Boston Marathon champion. Take the opportunity to work on a service project in his town and maybe even spend some time with Wesley himself. Days 13 to 16 – Return to Iten and get back in the rhythm of training and service. Spend mornings and afternoons running and/or working out in the pool or weight room and mid-days working on service projects in the community. 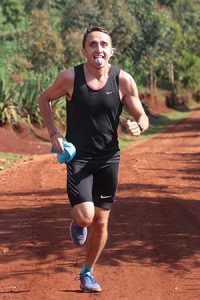 Day 17 – Another early long run through the now familiar red-clay road surrounding Iten. Spend the rest of the day having a relaxing brunch and then take a visit to St. Patrick’s school, home to future track and marathon stars. evening with a celebratory dinner with your group leaders, and new friends! Day 20 – Squeeze in an early run before departing to the Masai Mara for your safari. Spend the drive admiring the incredibly diverse scenery and bonding with your trip-mates. In the evening, take your first game-drive through the national park and have your cameras ready for sightings of the “Big Five”! Day 21 – Take an early morning run around the national park campsite to loosen up before a day-long safari game drive. Keep your eyes peeled for lions, elephants, zebras, and more. In the afternoon visit a local Masai Village where you’ll learn about their customs and way of life. Day 22 – One more morning run before your last game drive through the Masai Mara. In the afternoon, transfer to Nairobi and catch an evening flight home. Arrive home the next day and tell all your friends about your amazing trip! 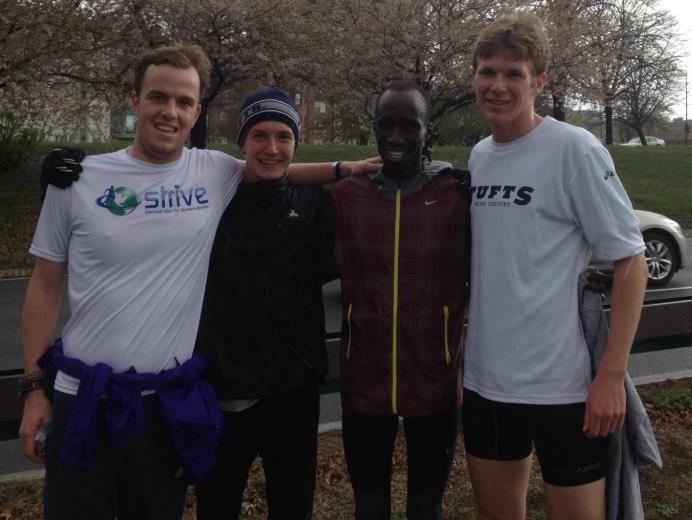 STRIVE group leaders Tyler Andrews and Luke Maher join Kenyan Wesley Korir for a run just a few days before his 2012 Boston Marathon victory! We get tons of questions from prospective students and parents, so we’ve tried to list some of the most common questions and answers below. Still have a question after reading? We’d love to answer – don’t hesitate to contact us! Is STRIVE-Kenya only for runners? Athletes from any sport and of any level are welcome to come and will have plenty to do to train for their particular sport. Our locations feature full size swimming pools, basketball courts, soccer fields, weight rooms, and more. Since most sports involve running and aerobic endurance, doing a daily run (especially at altitude) can be of great benefit. In addition, bikes are available if you’d like to come along on a group run, but don’t actually want to run or want to get in a great cross training workout! If you are a cheerleader, baseball player, soccer player, etc, we find the Kenyan kids love learning a new sport and you could help teach them as part of your community service. One summer we taught Wiffle ball and the Kenyan school kids ended up beating us. Perhaps you’ll end up learning more new skills than you teach. What's the weather like in Kenya? It’s a common misconception that Kenya is super hot in the US summer-time; it’s often much hotter in most parts of the US during these months. The locations we select in Kenya are at altitude, which means that the temperatures are generally very comfortable – most often in the low to mid 70s during the daytime – and can be pretty chilly in the mornings and evenings. It can also be cold if you hit rainy weather. We’ll send you a detailed packing list before departure, but layers and quick drying clothes are key items. Generally no, because of the altitude in Iten, where we spend most of our time. 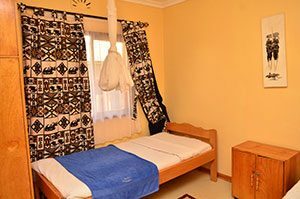 However, mosquito nets are available at all of our Kenyan accommodations and, since we will also be traveling on safari, where malaria could be present, you should plan to discuss the best course of action for your child with his or her physician. In eight years of STRIVE programs, we have never had a participant or group leader contract Malaria. Traveling internationally (or even domestically) always carries certain risks and Kenya is no exception. Students should take every precaution when traveling to be aware of their surroundings and to make sure that the group leaders know where they are at all times. Our group leaders are well-trained, conscientious, and have safety at the forefront of their minds regarding every program decision. You will be in good, experienced hands for the duration of your program. As a company, we take student safety extremely seriously and have practices in place, which we review regularly, to maximize student safety for all programs. In our planning process we specifically search for locations which will allow our students to enjoy their experience and feel comfortable and safe. In Iten, the HATC is located directly next to the regional police headquarters. 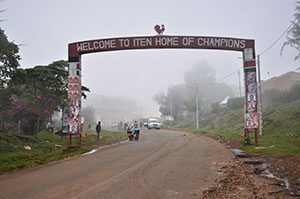 Iten is a very small town (population of approximately 5,000) with a small community feel, where people are incredibly friendly and look out for one another. 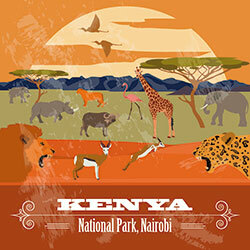 Before signing up for a program in Kenya, however, you must be aware that the state department has had a travel warning for Kenya in place since 2008 (click here for more). The warning primarily focuses on areas of the country far from our programs, but the warning is in place for the country as a whole. Please contact us if you have additional questions. How do travel and flights work? High school participants are required to meet their group leaders and trip-mates in a designated US departure airport where they are chaperoned all the way to their program country, through customs, and back. For more on high school travel, see our Flights and Travel Page. Do I need any specific items for the Safari? A good camera with lots of available memory, sunblock, and a hat are the 3 essentials while out on safari. It is relatively dry at the Mara when we are there but as weather can be unpredictable it’s always a good idea to have a poncho or rain jacket on hand just in case. Safari enthusiasts might find themselves purchasing an authentic safari hat and boots to fully embrace the safari experience. What animals will I see while on Safari? While we can’t guarantee you will see anything in particular, we usually see plenty of lions, elephants, zebra, giraffes, wildebeest. More difficult to spot are leopards, panthers, rhinos, or seeing the Migration/Crossing. Tap water is treated but we do not consider it safe to drink in Kenya. Purified water is provided by STRIVE and is readily available, while boiled or purified water is served with all meals at the HATC and at other places we stay. Purified water is also used to rinse dishes in Iten so there are no issues at the camp. We also encourage participants to brush their teeth with purified water to avoid swallowing the tap water. If you are a traveler, it might be worth investing in a SteriPen (click for more info)– a device which uses UV light to kill the nasty stuff in tap-water that makes you sick. Our group leaders and many STRIVErs have used these on tap water in Africa and had no problems with illness. 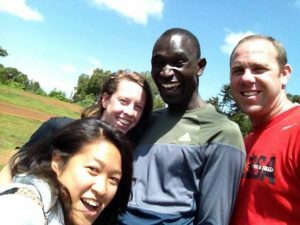 Will I meet Kenyan runners? Yes! You are very likely to meet Kenyan runners, some of whom could have world records to their name and you will see them on the trails and at the track all the time. In past years, STRIVE students had the opportunity to meet World Record holders Lornah Kiplagat, David Rushida, and Vivian Cheruiyot, among others. For the most current information, please consult your doctor and/or check out the Center for Disease Control website. We at STRIVE are not medical professionals and we recommend you consult your own physician for any advice and recommendations regarding vaccinations and medications. Yes! STRIVE has our own financial aid program. Read more about that here. Many students have also had great success with personal fundraising through traditional fundraiser, crowd-sourcing, pledging, etc. Lastly, you can always contact us if you have any questions or if you’re looking for more help. Tuition includes: All lodging, meals, beverage with meals, coaching, ground transportation, excursion entry fees, training facility entry fees, community service placement and support, group tips for in country assistance. Tuition does not include: International and domestic airfare which must be booked through STRIVE, Visa charges, overweight luggage fees, snacks and beverages outside of meals, personal spending, massages and sports therapy services, internet or cell phone access fees, tips for additional assistance (e.g. sports massage, etc). Payment Plans – Payment plans are available upon request. Simply contact us for details. We’re happy to help you and your family work out the plan that will make your trip a possibility! 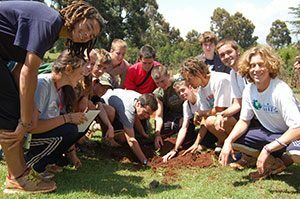 We want to offer the safest and simplest travel options for our students (and parents), so all STRIVE high school students will travel to Kenya as a group with STRIVE staff from our pre-determined US departure airport. For STRIVE-Kenya 2019, participants will meet their leader at a pre-determined location in the U.S. hub airport at least 4 hours before the international flight’s departure (exact time TBA). Families are responsible for arranging transportation to and from the hub airport, though STRIVE can assist in these bookings as well. Students will be accompanied to Kenya where their leader will help the group navigate passport control and customs and meet the rest of the staff. The next morning, the group will fly together from Nairobi to their final destination of Eldoret. On the return flight, students will be chaperoned out of Nairobi, Kenya, through passport control, and back into the US. Once in the hub airport, staff will help direct students for their flights to return home. If you’d like to discuss the possibility of using miles for the international flight or have other issues that may impact your ability to join the group flight, contact us and we’ll work with you to find a solution. For more information regarding group flights, visit our general Flights and Travel page. Safety has been STRIVE’s number one priority since Day 1 and every decision we make when running a program takes safety into account above all else. With over 8 years of expertise, we’ve established thorough risk management policies and procedures to give all of our participants the safest experience possible.